Abstract: The Alvastra pile-dwelling is a wooden platform in the middle of a mire connected to the mainland by a wooden causeway. The platform is surrounded by a fence or palisade of oak piles driven into the ground. It was built around 3000 BC in the Dags Mosse mire, Alvastra, in the province of Östergöt-land. The wooden platform was the scene of large-scale ritual activities, activities that are focused on the meeting of cultures. 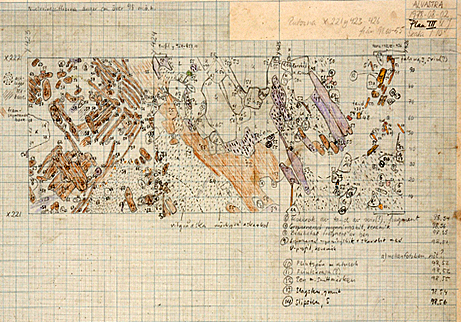 The Alvastra pile-dwelling was excavated the first time from 1909 until 1930 by Otto Frödin. 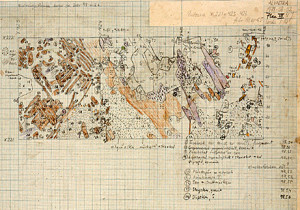 The results of this excavation were published in 2011 by Hans Browall. The second excavation was conducted between 1976 and 1980 by a group of archaeologists from Stockholm University under the leadership of Professor Mats Malmer. The results have, for various reasons, never been published in their entirety. As this is such an important site, the inaccessibility of the material has held research into the cultural relations of the Neolithic back. It is thus of vital importance that the material be made accessible to the archaeological community. 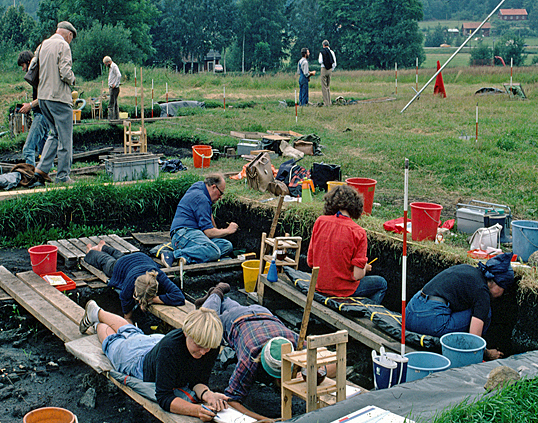 In 2014 the Swedish History Museum and the Department of Archaeology at Stockholm University was granted funding by the Swedish Foundation for Humanities and Social Sciences to digitize the assemblages from the 1976-1980 excavations and to construct a research platform for the Alvastra pile-dwelling site, i.e. to provide an infrastructure for research. The project was launched in April 2015 and will work for three years to make the assemblages digitally available and to collect all available resources in a digital platform accessible from the home page of the Swedish History Muse-um. This paper is a presentation of an infrastructure project in Sweden. The paper will describe the project and present what has been done so far.